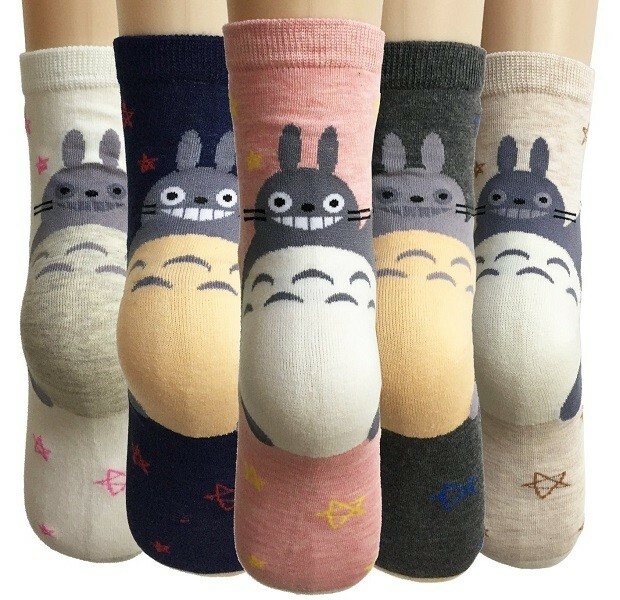 Let Totoro keep you company with this 5-pack of socks with the friendly forest spirit on the heel! 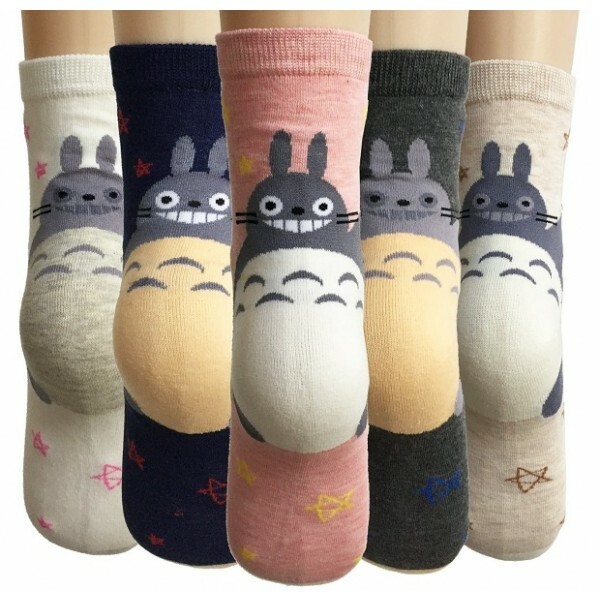 These socks from Oureamod are 80% cotton, 10% polyester, 7% nylon, and 3% Lycra Spandex, so they wear well but are still breathable and soft. Each set of five comes with a mix of colored backgrounds. Please note: these socks should be hand- or machine-washed inside out and air dried. Available in one size, which fits most women's shoe sizes 5 - 9. For more fun and empowering clothing options for all ages, visit our Clothing Collection.